This week, Alex St Claire shares some thoughts on the school canteen (and how lucky Kew Primary is to have one). 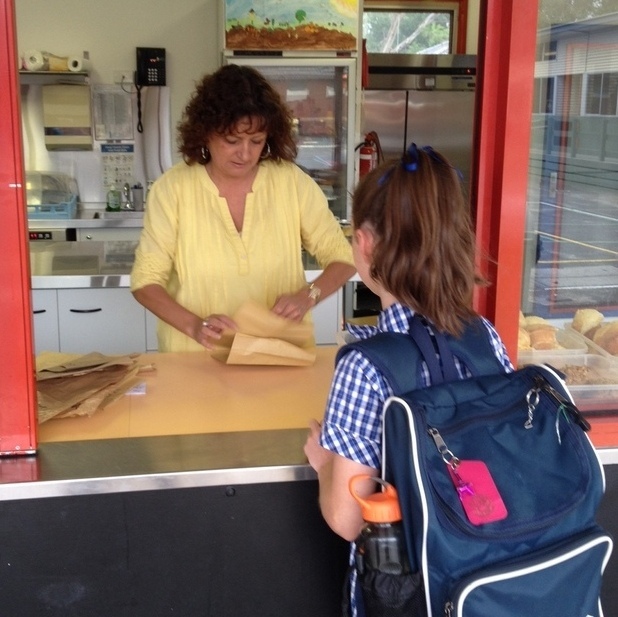 Despite many Australian schools shutting down canteens – and even outsourcing to local fast food outlets – due to a lack of volunteers, Kew Primary’s canteen is a thriving hub of parent helpers. Current government policy sets nutritional standards for school canteens, which have proven too expensive for many schools to maintain without parent support. At KPS, we are lucky enough to have the parent support to offer a range of healthy and wholesome food Monday, Wednesday and Friday. The canteen menu offers sandwiches, wraps, baguettes, summer salads, winter soups and special menu items. Friday’s chicken schnitzel burger is a popular menu item this term while Monday’s Spaghetti Bolognaise often has parents asking for the recipe (it’s the two-hour cooking time, canteen manager, Sally Brown, informs me). But it’s the winter pasta bake that is the firm favourite in our house. Even Jamie Oliver’s curly-wurly tomato pasta bake at his new Sydney restaurant didn’t measure up to Sally’s, according to my own five-year-old food critic. Vegetables from the Kitchen Garden are used when in season, along with fresh ingredients from local suppliers. Kew Junction’s Fruits on High provides generous discounts on fresh fruit and vegetables to ensure the canteen is well stocked year round. On a morning when the time or ingredients evade you, nutritious food provided by Sally and her diligent sidekick, Dem, is greatly appreciated. Simply write your child’s name, class and order on a paper bag with the money inside and remind them to drop it off before school. 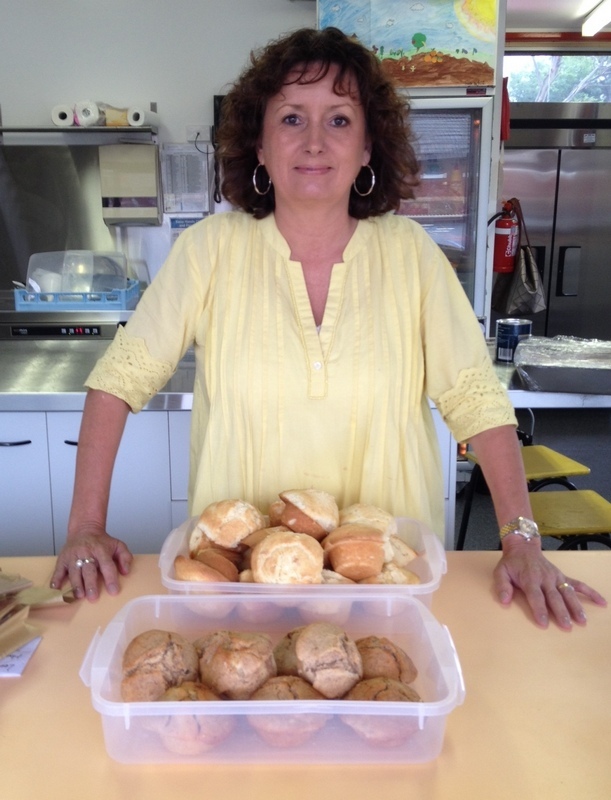 Sally often caters for school events, managing morning tea orders for scones with jam and, of course, well-earned treats for our teachers. But through the hustle of it all, the spirit of camaraderie among the parent volunteers is wonderful, as is seeing your child’s joy as you give them their ‘free’ muffin. If you’d like to be part of this, the canteen is now searching for more volunteers to fill the roster. If you can help out for a full or half shift from 9am -1.30pm, 9 -11.30 or 11.30 -1.30, email Dem (dem@waikatobabybaby.co.nz) or stop by the canteen on Monday or Friday. 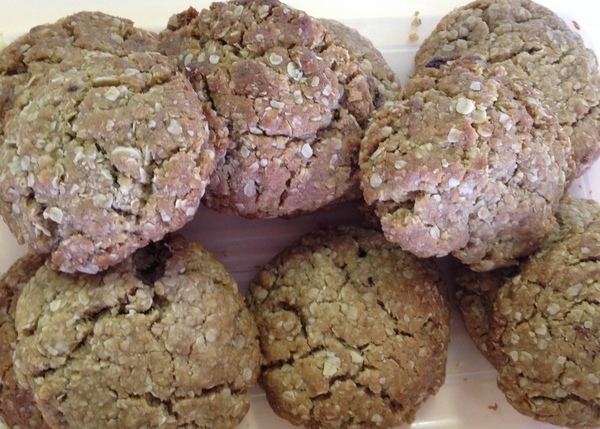 This entry was posted in Parents, School Grounds & Facilities, Students, Volunteering and tagged canteen, health, healthy eating, school lunch by Kate W. Bookmark the permalink. Alex highlights how super lucky we are at Kew Primary to have Sally as our Canteen Manager, who has transformed the menu to deliver healthy and fun food for our kid’s, as well as updating our kitchen’s resources & hygiene standards. Sally makes helping lots of fun, and I love seeing and chatting to all the children who come to partake, including my own who think that when Mum’s on canteen it’s just the best day ever at school. Thanks, Alex!